The planned operations had several objectives. The first was to continue the attacks then in progress. 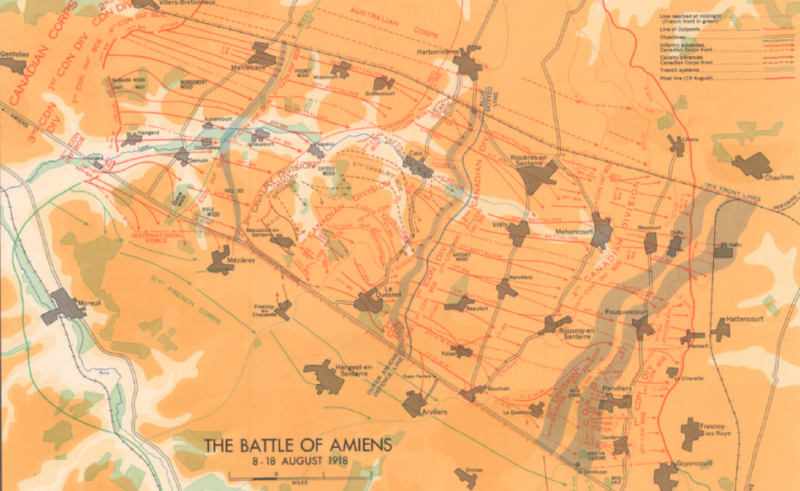 The second was to launch an attack from the Amiens region to remove the threat against certain railway lines, in particular the Paris to Amiens line, vital to the Allied efforts. Rumours were spread that the Corps was soon to engage in a great battle in Flanders, and in support of this a number of Canadian battalions and supporting units were moved to the north taking up positions and conducting themselves in a manner certain to attract German notice. False moves were also made in daylight amid much noise, dust and bogus radio communication. There was also increased activity by the Royal Air Force flying about 200 planes in that area. At the same time on the Amiens front where the intended attack was to take place, in early August the Allies tricked the Germans by appearing to weaken their front line so that German officers expected no assault. Troops moved to the front lines at night to fool the enemy. Secrecy was so important that the soldiers saw the warning “KEEP YOUR MOUTH SHUT” added to their service and pay book. 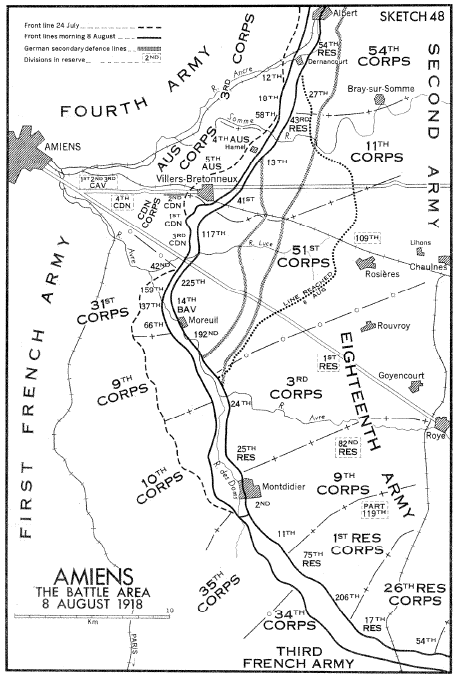 The offensive at Amiens was to be a surprise assault based on a combined arms approach to war. In addition to cavalry and tactical airpower “the plan was to employ 1,386 field guns and howitzers, and 684 heavy guns… with a timetable which allowed 504 out of 530 German guns to be hit at ‘zero hour,’” [vi] while at the same time a creeping barrage preceded the infantry. The plan also called for the use of 580 tanks of various classes including armoured cars. 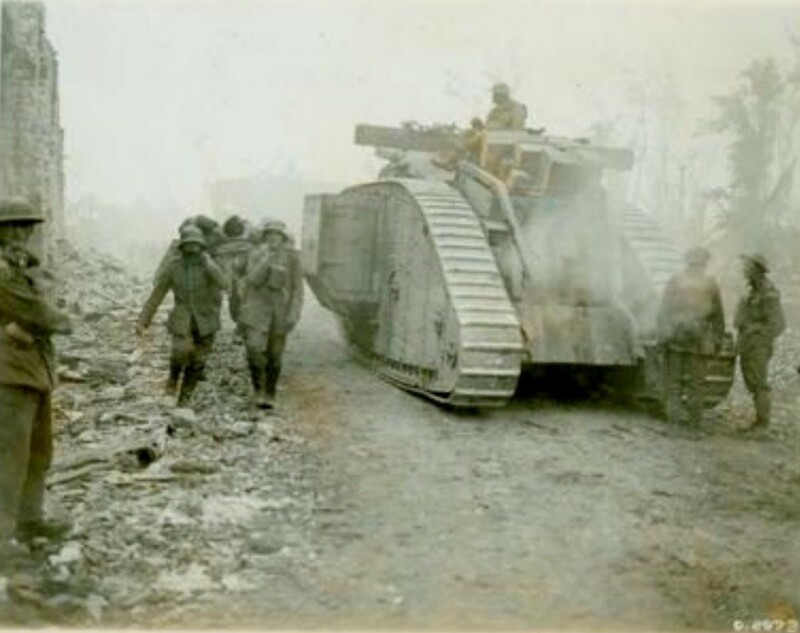 Tanks were again called to assist in pushing the attack forward against stiff opposition. After making their way along the German parapet firing their machine guns and crushing the parapet in several places the tanks then left. The Germans, however, continued strong resistance, and the Royal Montrealers were forced to substitute a series of operations against the flanks instead of a frontal assault. These flanking movements with enfilade fire opened on the Germans soon brought a white flag of surrender. Forgetful of known Hun tactics, a number of our men advanced across the open to occupy the trench and accept the garrison’s surrender. These individuals paid the penalty of their trust and were killed by treacherous rifle fire from the German line. Angered by the death of their comrades, the men of the Royal Montreal Regiment resumed the attack and gave no quarter. At 7 am final instructions were received, and fifteen minutes later the Battalion moved off. Forcing the pace, in view of the urgent nature of his mission, Lieut.-Col. Worrall led the Battalion along roads congested with traffic to 2nd Brigade Headquarters. 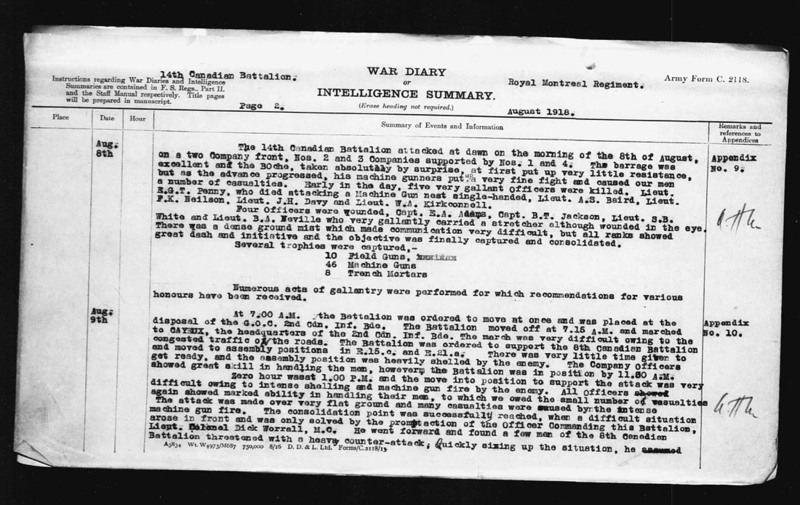 There he was ordered to take up positions in support of the 8th Canadian Battalion which was preparing to attack. 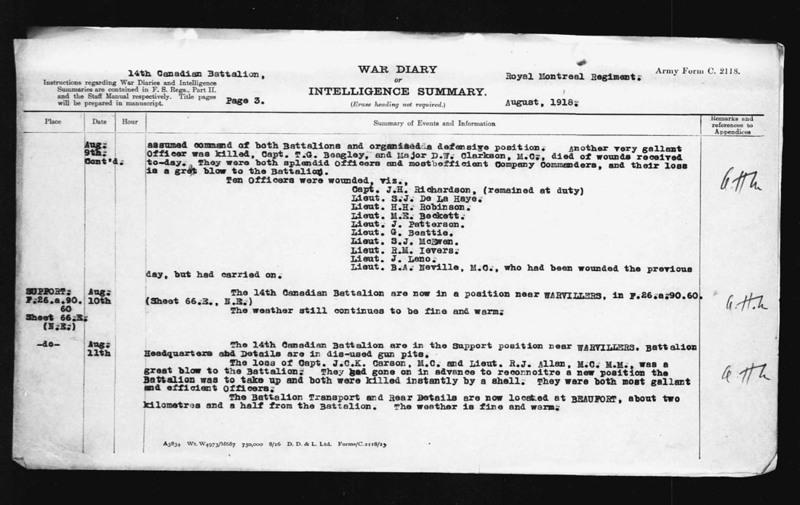 Ordering the 14th Battalion to follow, Lieut.-Col. Worrall advanced, reconnoitered the positions assigned to him, and meeting the Battalion coming forward, directed the men to their places. 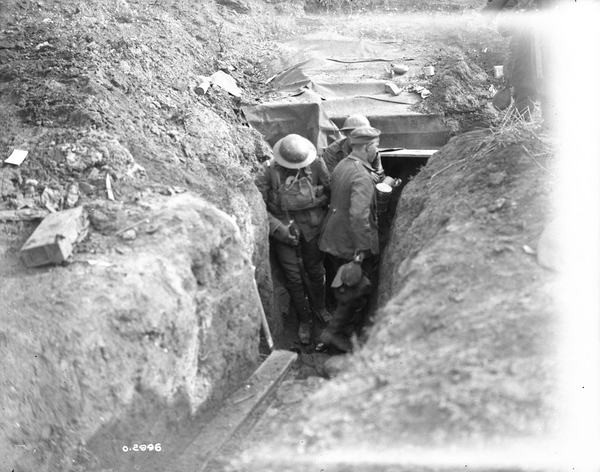 A section of the assembly trenches originally chosen was commanded by higher ground from where the enemy directed machine gun and artillery fire including gas shells. 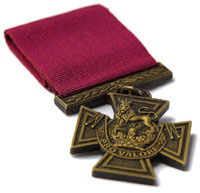 Accordingly Worrall changed the plan to meet the conditions and assembled his men in a less hazardous spot, the disposition being completed just before 11:30 am. 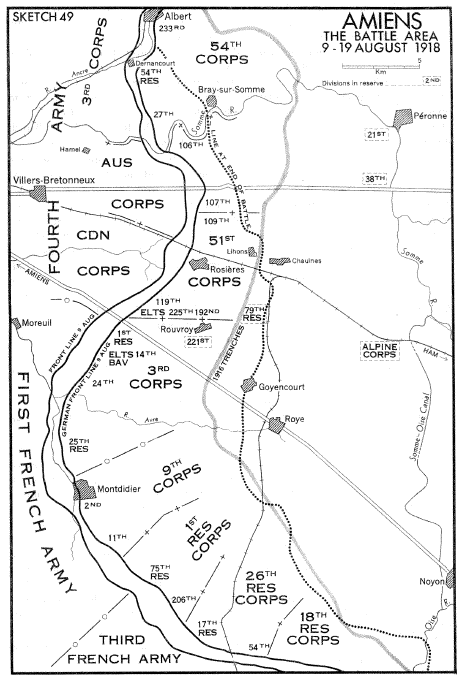 Shortly after the Royal Montrealers had taken up position it was announced the 8th Battalion would attack at 1 pm with the 14th following in close support. Warning of the attack seems to have reached the Germans and between 11:30 and “zero hour,” the assembly positions were heavily shelled, a number of men fell and serious losses were avoided by the narrowest of margins. 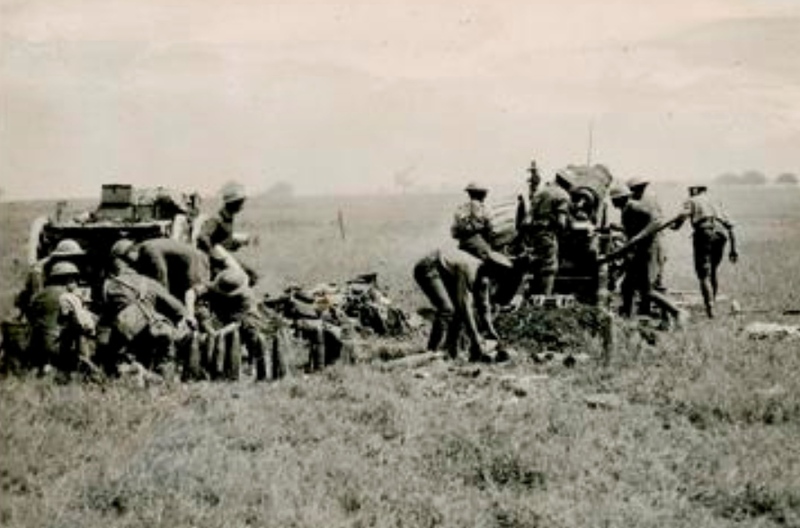 In the meantime the 8th Battalion had suffered heavily and needed support on their flanks. Worrall sent forward No. 3 Coy. of the 14th with orders to support the 8th in every way possible. Shortly after this the 14th Bn. reached its objective and began consolidating. When Worrrall reached this spot he found 60 to 80 officerless men of the 8th preparing to receive a counter-attack seen massing in the distance. Finding the point reached by the 8th Bn. 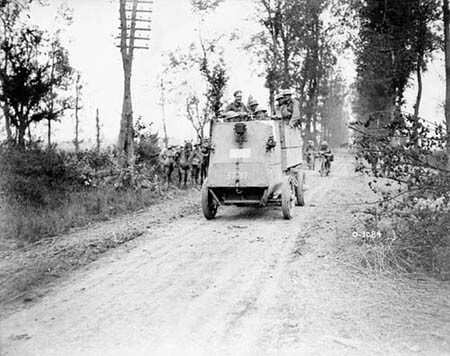 men unsuitable for defence Worrall consolidated them a short distance to the rear, and sent a runner back ordering the main body of the 14th to advance without delay. During the night that followed the enemy attempted no further advance; instead he recalled his forward posts and retired. The 8th Battalion quickly realized his intention and pushed out patrols which established posts along the line of the battalion’s final objective. [i]    R.C. Featherstonhaugh, The Royal Montreal Regiment 14th Battalion C.E.F. 1914-1925, Montreal, The Gazette Printing Co., Ltd., 1927, pg. 216.